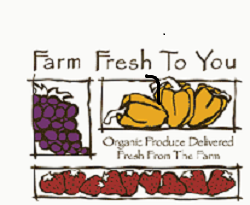 Home » Farm Fresh to You – Bringing Fresh Organic Produce to Your Door! 23808 State Highway 16 Capay, CA 95607 800.796.6009, 7:00 a.m. to 6:00 p.m. PDT http://www.farmfreshtoyou.com/ contactus@farmfreshtoyou.com by Emerson Sandow If you live in California, imagine having farm fresh vegetables delivered right to your home every week! In this age of canned reality via the Internet and T.V., and frozen dinners in the microwave, vegetables are one item that can be had un-canned and un-zapped! FARM FRESH TO YOU is a dream realized by Kathleen Barsotti and Martin Barnes and ultimately their entire family. Kathy and Martin began organically farming in 1976 at their Capay Organic in Yolo County, California. Farming organic produce was a struggle in the early years, as the regulations for certifying crops as organic were strict, but such natural farming is a passion and belief, not merely a way to make money and the business grew through Farmers’ Markets and supplying some Bay Area gourmet restaurants with fresh, wholesome fruits and vegetables that provided a “live” flavor and potent nutrition to their patrons. The offspring of Kathy and Martin grew up with Capay Organic and learned the family business, in addition to other endeavors. In 1992, Kathy began FARM FRESH TO YOU, a farm-to-home/office delivery program that brings fresh, organic fruits and vegetables right to customers’ doors! Kathy’s idea grew well and paid off in expanding business and satisfied customers. As a result, in the past 16 years, her sons and their wives have taken over the farm and FARM FRESH TO YOU, continuing the legacy that Kathy and Martin began 40 years ago. All who appreciate fresh, organic fruits and vegetables are the beneficiaries of their work and you can enjoy this excellent service too! To become a customer, you simply go to the website type in your Zip Code to see if you are in the FARM FRESH TO YOU delivery range and if you are, you then choose the box size, the content mix and frequency of delivery and place your order. It could not be simpler. You are not locked in to a commitment, either. You can change the contents of your box or suspend delivery to suit a change in your schedule or vacation. If you are a regular partaker of organic produce, you know how delicious these vegetables are and the convenience of having them brought right to your door makes ordering from FARM FRESH TO YOU an easy decision for health and great taste! Please visit the website, peruse their wide selection of seasonal fruits and vegetables and get ready for a wonderful organic experience! E.S.